Recently we had a couple of clients who all had similar questions about email marketing. Many new bloggers and businesses are soo afraid of annoying their subscribers that they fail to utilize the full power of their list. You should send regular newsletters – or your subscribers will forget that they subscribed to you. If that happens they will be even more annoyed when you send an email after some time. Instead, you should use your newsletter to build a relationship with your subscribers – provide something they can only get via your newsletter. And yes, sending newsletters should become part of your regular routine – even if your email list is still small. And even if a couple of your subscribers unsubscribe when you send a newsletter that is just the way it is. These totally uninterested subscribers are not people you want on your list anyway. If they only stay on your list if you DON’T send emails, they are never going to be interested in you and what you have to offer. But when we tell people they should send a newsletter regularly – for most people that is at least once a week, the next question is always: Oh, gosh. If I have to send so many newsletters what the heck should I send if it is not JUST new blog posts? 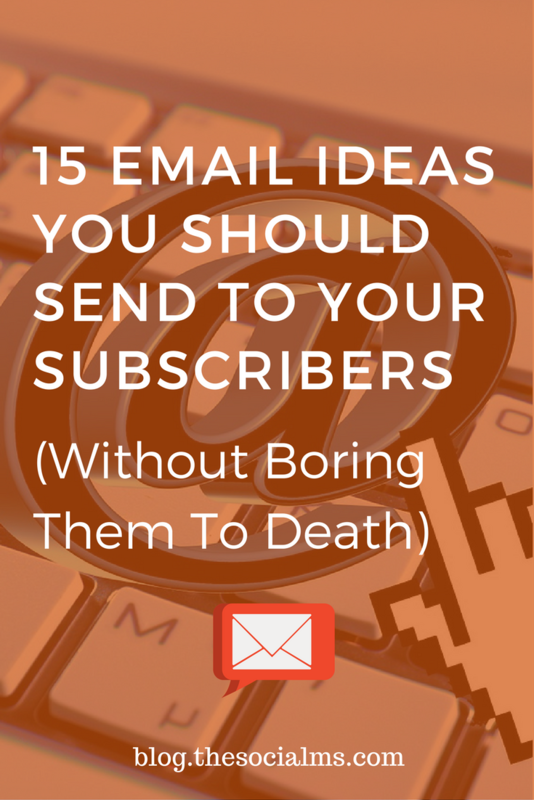 So, here are 15 ideas for what you can send in your email newsletter. You have a couple of new subscribers. They were lured into your list by an awesome freebie you offered. But chances are high that they don’t know all that much about you. Start with a welcome email, say hello and tell them a bit about yourself and what brought you where you are today. I recently read that you should not send out information about your new blog posts if you just send this type of newsletter. You might not use the full power of your newsletter if you JUST send your blog posts, and I agree that you will most of the time see better results if you offer some exclusive information to your subscribers as well. But some people DO subscribe to blog posts via newsletter for the simple reason that they like to get the new posts to their inbox. – I am one of these persons. I do subscribe to blogs because I like to read them and I want to know what topics they covered. And when I like the topic I open the newsletter and click on the link. In addition, your newsletter can easily grow into one of your most important traffic sources – and it will be very high converting traffic source. In addition to sending new blog posts, you can use the newsletter to provide additional value in form of some quick tips and tricks. If you discovered a new tool or a trick that got you great results, but maybe the information is not BIG enough to turn it into a blog post. If if is valuable: Send out a newsletter, your subscribers will be thankful for a quick tip. This can be a link to an older but evergreen and very popular post – or you turn an older post into an email. This is a great way to repurpose your old content. You don’t want to leave your most interested leads out in the rain, do you? Webinars and free online courses are part of many sales funnels. Of course, you will invite your subscribers to your own online events. But you can take this one step further and build partnerships with other bloggers and business owners. Invite people to their events. Either you use this to market affiliate products. Many of the „big name“ bloggers and marketers do co-hosted webinars – the co-host usually earns money for every new customer he wins for the promoted product. But you can also simply form partnerships and exchange an invitation – this is an awesome way to grow your email list, too! Communicate with your audience. Ask a question once in a while – it will help you to better understand your audience, get new ideas for posts and products – and it will help you build the relationship. You can even set up a survey to get even more insights. For instance, if you want to create a new product, you can ask questions how it should look like or the specific questions that your audience would love to have answered in the product. Ideally, your subscribers and your audience will provide you with some ideas for questions you can answer. But you can also actively ask them in a newsletter what they would like to know. I also find a lot of questions to answer in conversations with customers or at events where I talk to entrepreneurs and founders. There are endless stories to tell – just make sure they stay kind of on topic. It does not always have to be your own content that you send with your newsletter. Why not provide a list of the best posts you read last week? Again, keep in close to your niche and topic to make sure your audience is interested in your curated pieces. Content curation also gives you the opportunity to honor some of your fellow bloggers, some customers or colleagues. Even if your subscribers already did sign up, some free stuff will be appreciated. There are a lot of possibilities for freebies you can create and if you create a new freebie, why should only new subscribers get the new freebies? Send them to your existing subscribers via email. Consider using various content formats. This way you can even test what form of content your subscribers are more interested in: Do they rather opt for videos or is an ebook the content format that most of them download? My guess is that you are active on multiple platforms and channels. Why not send an email and tell your subscribers what they can expect on the various platforms: Where do you share content, where are you active in discussions, where can they reach out to you etc. This can even help you build an audience in some of your channels as you may transfer some of your subscribers to one or several of your other channels. Do you have something to offer for free? 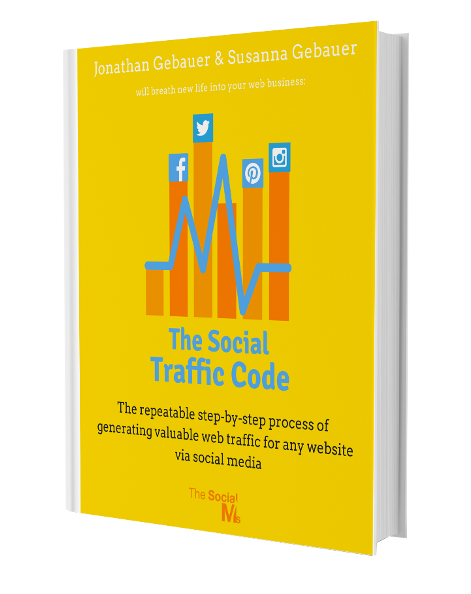 Maybe 10 memberships for a course for free or you give your (paid) ebook away for free in exchange for some action? You need to be creative. If you use a social network for a contest, you can also use the newsletter to let people know about it. You can combine this with some other emails, for instance, you can give some rewards to all subscribers who answer a question you send. Everybody has those subscribers who never open an email but also don’t unsubscribe. But honestly, you don’t want a ton of subscribers on your email list who are not interested anyway. To check whether you want to keep a subscriber or rather delete him, you can send a Re-engagement email. It is an email you send for the sole purpose of checking if a subscriber is truly dead to you – or if you can reactivate the subscriber. You have to be extra brilliant with the subject line of this email, to catch attention. Here are some tips and examples for re-engagement emails from Drip. If you fail to re-activate your subscribers, you should consider to delete them from your list and clean up your list. What is up in your future, what do you plan and what are you working on? Give a little insight into your business and make it human. It usually pays off to show a little glimpse behind the shiny curtain and show that there are actually people working. Don’t be afraid that some of your subscribers will unsubscribe with almost any email you send. You only want subscribers who like to get an email from you – if they don’t want your emails anyway, let them unsubscribe. Also, you need to stay on the radar of your subscribers and keep up the conversation. Your email list is your chance of building relationships and building anticipation and interest for what else you have to offer. Not sending emails is not an option!